Donkeys await their fate at an ejiao farm in China. Graphic images of donkeys being killed and skinned for their hides have emerged. An Australian sporting group is under fire from animal welfare advocates for its sponsorship deal with a company promoting trade in donkey skins from Australia to China for traditional medicine. Humane Society International (HSI) is calling on Table Tennis Australia, the peak body for the sport, to end a sponsorship deal with the Australian Donkey Industry Association (ADIA), which began in 2018 and outraged players and members of the sporting body who were concerned with the related animal welfare and humanitarian issues. The ADIA is a lobby group run by traders of a controversial traditional Chinese medicine called ejiao, made from the gelatin in donkey skins. The escalating demand for this dubious health fad is decimating donkey populations across the globe. Champion table tennis player Wade Townsend spoke out about the sponsorship deal. “From an animal welfare perspective, it doesn’t seem to be a great product to be supporting,” Townsend told ABC news. Chinese investors have been in discussions with Australia’s Northern Territory government who are currently researching the feasibility of donkey farming using feral populations, and exporting their skins. “I am a vegetarian so I don’t want to be associated with this product — I’ve had my face put up with a baby formula sponsor’s billboard before, for example, but I wouldn’t want that with ejiao products,” he said. Georgie Dolphin, HSI’s Program Manager for Animal Welfare said the group was deeply concerned that an Australian sporting body had signed a deal with a company looking to involve Australia in a trade “that has horrible consequences for donkeys and the communities in developing countries that rely on them”. HSI has asked Table Tennis Australia (TTA) to end its sponsorship deal with the Australian Donkey Industry Association and is awaiting a response. In a statement about the sponsorship, TTA said the sponsorship arrangement commenced in April 2018 and would expire in April 2019. “The sponsorship agreement was the subject of a due diligence process by the TTA Board which agreed to accept the proposal. Table Tennis is an amateur sport that is reliant on the generosity of commercial support to fund participation growth and high performance, however proper processes are in place to evaluate all sponsorship arrangements. “In evaluating this proposal, TTA considered that the offer was made by an entity that is legally registered and which demonstrates that they comply with all required Australian regulations. In that regard, it is no different to many similar sponsorships across Australian sport. HSI’s investigative report released last May named Australia as the 8th biggest importer of ejiao, with upwards of $4 million worth of the product entering the country last year. The industry also hopes to use Australia as a source country for donkeys, having exhausted donkey supplies elsewhere in the world. Up to 4 million donkeys are killed globally every year to produce ejiao, and HSI’s investigation also revealed the deplorable conditions and distressing slaughter practices that donkeys face to supply the trade. “The ejiao industry is behind a global donkey crisis which involves horrific animal cruelty and humanitarian injustices. It is not a sponsorship deal that table tennis players can be proud of, and Table Tennis Australia must listen to their calls and end the agreement immediately,” Dolphin said. 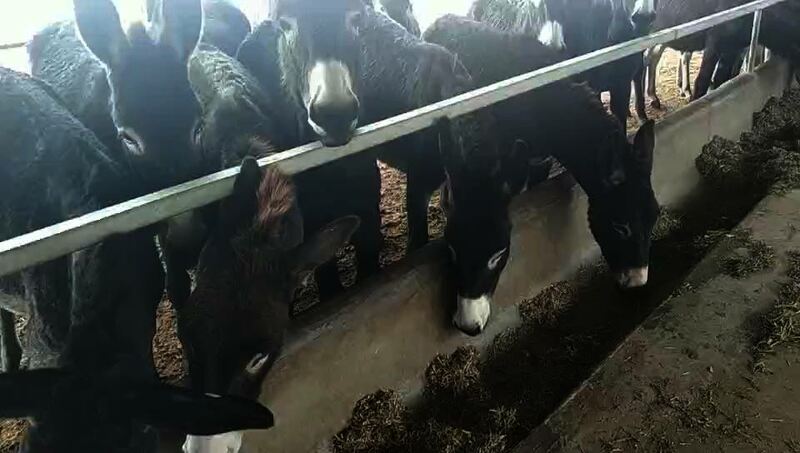 Chinese investors have been in discussions with Australia’s Northern Territory government who are currently researching the feasibility of donkey farming using feral populations, and exporting their skins. If this plan was to go ahead, it would result in severe animal welfare implications for donkeys due to the behavioural issues faced when farmed and transported and is not the solution to curb feral donkey populations. With no peer-reviewed scientific evidence of any health benefits, ejiao is facing increasing scrutiny and stigma. This combined with the animal welfare consequences associated with the trade has prompted many retailers, including eBay, to remove the products from its site. HSI is calling on the Northern Territory and Australian governments to rule out supplying live donkeys or their skins to China for ejiao. Proof that money is the root to all evil. This is absolutely inhumane. We are better than this!! This has to stop! Governments and animal rescue groups need to go after the king pins, those who aredriving this horrific trade. There is no excuse for animal cruelty, EVER!!!! !